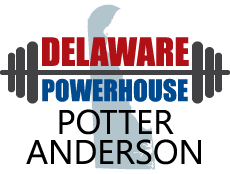 Potter Anderson has one of the few bankruptcy practices in Delaware that excels in all facets of bankruptcy law, including secured creditor, debtor, creditor committee and major creditor representations. Clients represent the full range of participants in bankruptcy cases, including secured lenders, debtors, asset purchasers and official creditor committees. Potter Anderson also practices in other creditors' rights areas, including out-of-court restructurings/workouts, state law receiverships and dissolutions, state law foreclosure, assignments for the benefit of creditors and secured transactions. Our practice is known for its high level of personal service. Rather than building a reputation based on volume, the team chooses to take on clients that benefit from our high-touch/high-value approach. Represents key constituencies in nearly every Delaware “mega” bankruptcy case beginning with serving as counsel to the Official Committee of Equity Holders of Continental Airlines Holdings, Inc. in 1990 and continuing through today. Represents clients in complex commercial litigation spawned by bankruptcy, including valuation proceedings, fraudulent conveyance cases, corporate breach of fiduciary duty cases and multimillion-dollar preference actions. Advises in other creditors’ rights areas including out-of-court restructurings/workouts, state law receiverships and dissolutions, state law foreclosure and secured transactions. Provides opinions to the financial community in such areas as substantive consolidation, fraudulent conveyances, and bankruptcy remote entities. Guides clients through receivership proceedings and dissolutions under state law as an alternative to bankruptcy proceedings under federal law, advising on both judicial and extra-judicial dissolution and winding-up procedures under the Delaware General Corporate Law, as well as state law receivership proceedings.